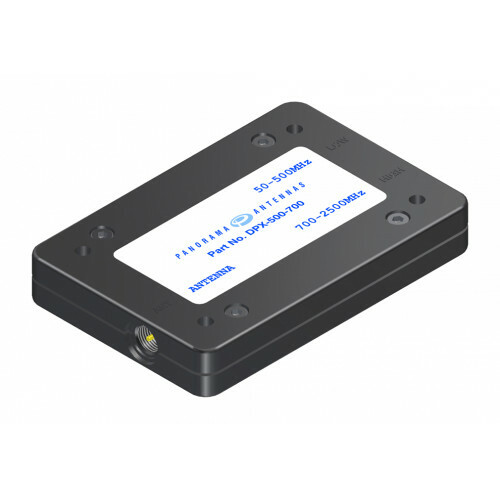 The DPX-500-700 is a diplexer which splits VHF/UHF from 7/800MHz and Cellular, providing the opportunity to utilise a single multiband antenna with two radios. This conserves valuable vehicle real estate and saves on antenna installation costs. 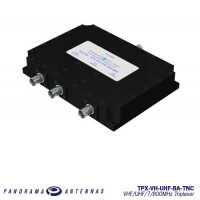 The diplexer has low loss characteristics and is perfect for splitting a single antenna to a VHF or UHF radio and a 7/800MHz radio. The diplexer is compact enough to locate in a vehicle headliner and is fitted with FME (m )connectors.